Aspirinox Alloys Inc is the leading Manufacturer and Supplier of Nickel 201 Pipes throughout the world. The purity of our raw materials and perfection in the process of making our products is what attracts our customers to us. We are the most renowned exporters of Nickel 201 Seamless Pipes and Nickel 201 Welded Pipes supply it widely through the international market. We have an entire horizon of clients completely satisfied with the quality of our Nickel 201 ERW Pipes. The dimensional accuracy perceived in Nickel 201 EFW Pipes is up-to the mark and meets all the standards of our customer’s expectations. 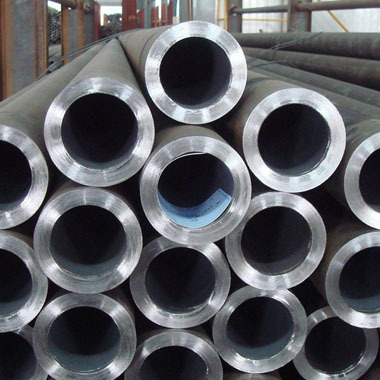 We use superior quality raw materials in manufacturing products belonging to Nickel 201 Pipes catalogue like Nickel 201 Round Pipes and which makes it attain rust-free durable nature. Our workforce consists of well-trained professionals that use latest technological methodologies in manufacturing Nickel 201 Oval Pipes. Our products possess the required amount of toughness, durability and resistance to corrosion from climatic changes. Our Nickel 201 Hollow Pipes are best known for its wide applications in the chemical and construction industries. Whereas, our Nickel 201 Rectangular Pipes find a wide range of source and application in the engineering and chemical industries. Our Nickel 200 Pipes catalogue offers our customers assorted choices suitable for their requirements and affordability. We process these Nickel 200 Pipes keeping in mind its expected performance and properties like restricted corrosion resistance and no intricacy of welding and fabrication. Call us now for more info! Specifications for Nickel 201 Pipes. If any specification is not mentioned here, please use the contact button for quick quote. Contact us or click on request a quote button to get our competitive prices for Nickel 201 pipes. Aspirinox Alloys INC maintain the large inventory of high quality Nickel 201 Pipes for sale to our clients throughout globally.